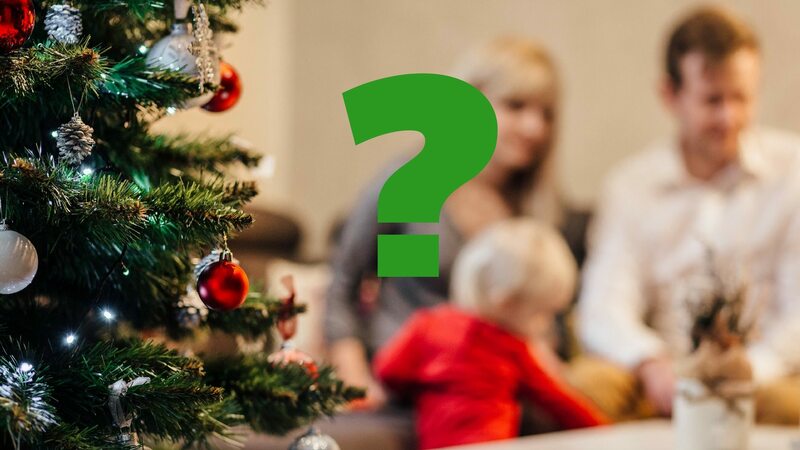 Here’s a question: “Why do you celebrate Christmas when the original celebrations actually started as ‘pagan’ parties?” Many Christians are questioning Christmas celebrations and our many traditions. We receive that question every year from curious Christians. As a result, we have given this issue a lot of thought and prayer. At first, we were surprised. That is because we actually thought that the Christmas holiday originated as a celebration of the birth of Christ. But since then, we’ve learned that this isn’t so. It’s a like a lot many of our wedding traditions; they also don’t have a Christian origin. Yet Christians have the unique gift of taking that, which is meant for evil and bringing “light” to it. We can see where this also applies to celebrating the holiday, which is now known as Christmas. • SHOULD CHRISTIANS CELEBRATE CHRISTMAS? Just the fact that “Christ” is in the title of Christmas gives Steve and me cause to celebrate and pay attention to it. It gives us the opportunity to be “salt and light” to a world in which God told us to minister. Turning away from celebrating Christmas because of the many who abuse this holiday, we feel, shouldn’t be a viable reason for us, personally. There will always be those who will spoil every celebration there is! That’s the depravity of human beings, apart from knowing Christ. You shouldn’t judge celebrations by its abuses. Any occasion to celebrate Christ is reason for us! We would be “turning off the Light” to the opportunity that is before us to spotlight Christ —OUR real reason for celebrating the season! Instead of focusing on the abuses (or even the originality) we use this holiday to celebrate the birth of Christ each year and treat it reverently, with respect… and we also have fun with it, reaching out to others, being generous, and displaying both the love and joy of the Lord. It’s a wonderful evangelistic opportunity for outreach! All of this is a spiritual decision that you have to decide. There really doesn’t appear to be a right or wrong of doing it unless you’re convicted by the Holy Spirit to do things another way. Pray about it and decide for yourselves what to do. To learn more about the traditions of Christmas, and its originality, we’d like to recommend a book to you. It’s titled, Stories Behind the Great Traditions of Christmas written by Ace Collins, published by Zondervan. Another great book you might consider is titled, Stories Behind the Best-Loved Songs of Christmas. This book is also written by Ace Collins, published by Zondervan. If you’d like to (or can) order one or both of them through Amazon, through links that are provided. If you order these resources (or anything else) through our web site, you’ll also help this ministry. Amazon sends Marriage Missions a percentage of their profits. We can then reinvest this money into helping marriages. We know that some of you don’t have the ability to do this for various reasons. But for those of you who can, we want to let you know about this, just in case. Next week we will provide a Christmas Quiz that might provide good conversations, and even give you something more to discuss with others. We’ll give you one of the questions as a preview: How many wise men came to see Jesus in the manger? When we as Christians think of the symbolism, it makes us all the more in awe of Christ and our Heavenly Father. And it can cause us to want to celebrate all the more, the birth of our King. We hope this sheds a little more “light” onto your Christmas celebrations. We encourage you to strive to live out God’s peace in your home and the community around you. May you use this holiday as another way to reflect the love, grace, and joy of the Lord. (USA) I have relatives that loathe the Christmas traditions but they are not understanding what Scripture says. That verse in Jeremiah says that the workman cuts down a tree in the forest, carves it with his ax and dips it in gold. That is clearly describing a statue/figurine. We do not do the Santa thing for many reasons but mainly because it is a lie. We all know what God thinks of lies for any reason. Santa, “Satan” transposed had a gold sleigh and the devil speaks of his gold throne in the sky. Based on Thor, they put out an offering to appease him so he didn’t eat their children hence, the cookies and milk. I do not force my convictions on others and have instructed my kids not to but it all is what it is. We have a tree with a cross on top and tiny Bible or other ornaments of things we love and give gifts but it is all about the birth of Christ, although he was not born that day. As with all things, it should depend on God’s Word for those that claim Him. Steve & Cindy, It is an interesting and highly beneficial adventure for each of us to personally explore the Scriptures deeply in an effort to fully understand the reason that we celebrate Christmas (or alternatively, the reason that we don’t celebrate it). It is impossible to be a Christian who regularly attends a church and not be involved, at least a bit, in the celebration of Christmas. As an example of the Christmas traditions that we so easily believe and follow, consider this: You asked the question “How many wise men came to see Jesus in the manger?” The Biblical answer is zero. Now, when I give an answer of zero, many Christians will react and take issue with that answer. But if you study the Bible you will discover that the rulers (kings, wise men) who sought out the baby Jesus came to see Him later, well after He would have still been in the manger. Jesus was likely many months old when they came. (Matthew 2:11, they came to a house) Herod knew that Jesus was older than a newborn, which is likely why he ordered all boys up to 3 years old killed (Matthew 2:16, two years old and under). Nevertheless, the 3 wise men have become a part of many Nativity scenes, as if they showed up within hours of when Jesus was born. Another interesting question to ask and explore is this: Was Jesus actually born at Christmas? When you explore the Bible to find an answer to this question, you will discover hints that are important to research and understand. For example: We have all read that the shepherds were “keeping watch over their flocks at night” when the angel appeared to them. But where were they? Luke 2:8 says that they were “living out in the fields nearby”, which gives us a hint of the time of year. They would have not had their sheep in the fields if there were crops there, for the sheep would be eating the crops, so this must have been after the crops were harvested. That makes the likely time from June through October, for winter wheat was a common crop grown in that area. So, December is most likely not when Jesus was actually born. But when was Jesus born? God gives us many hints. In Luke 1:5 it says that Zechariah “belonged to the priestly division of Abijah”. Historian Flavius Josephus tells us the order in which the priestly divisions served in the temple. Knowing the holy days, the first time of service for that division alone during the holy year was in the June timeframe. Luke 1:23-24 hints that Elizabeth might have become pregnant soon after Zechariah’s service was complete. Luke 1:26-31 says that Mary became pregnant when Elizabeth was 6 months pregnant. This could well have occurred during Hanukkah, the Festival of Lights, in the December timeframe, as Jesus was the Light of the world. Then if you go forward 9 months, Mary would have been due in the September timeframe. Jesus could well have been born on Sukkot, the Feast of Tabernacles, as He came to dwell (tabernacle) amongst us. Many Christians will disagree with this possibility, but if you study the Bible text and historical records and the culture of the time, it is difficult to avoid this strong possibility. And it is especially difficult to continue to avoid when you study the timing of the crucifixion (on Passover, with precise timing to match the events of Passover occurring in the Temple), the 3 days in the tomb (during Unleavened Bread), and the resurrection (on First Fruits), with Jesus being the First Fruits (1 Corinthians 15:20, 23). Historically, there is much evidence that significant events in the life of Jesus and in God’s plan occur on His Feasts and Festivals, precisely on His Jewish calendar. So, I definitely agree with you that we each need to reach our own conclusions as to how we should celebrate the birth of Jesus. I encourage everyone to dig deeply into God’s Word to understand what he is telling us about each of these important events in the life of Jesus that we remember and celebrate. May your celebrations remembering Jesus be blessed and covered with His Holy Fingerprints! Thanks M for these insights. Hopefully, they will help others make their decisions about celebrating the birth of Christ. Whether or not they do so at what is now known as “Christmas” is their decision. But after praying, exploring, and praying some more, we decided that it didn’t matter what specific day Jesus was born. As we figure, it may never be conclusively known on this side of Heaven. But the fact that we DO celebrate His birth is what is most important to us. And since many within this world are more open to celebrating it at Christmas… we are good with that. It’s a great celebration to participate in together. Personally, we see God’s “fingerprints” all over this. It also gives us great evangelical opportunities that we may not have otherwise. We believe that for us, God blesses because of our motives, and the fact that we ARE celebrating this momentous event. May God give wisdom and joy to all who read your comment, and lead them as they search for His will. Thanks again for your comment and for sharing your research with all that read this article. God bless!